Etienne Oliveau/Getty ImagesChinese President Xi Jinping at the third plenary session of the first session of the 13th National People’s Congress at The Great Hall of People on Sunday in Beijing. China’s decision to scrap presidential term limits on Sunday may have been motivated by President Xi Jinping’s fear of a powerful faction in the Communist Party. The party is split largely into two coalitions, and the elite Jiang faction has been in a “life and death” contest with Xi. Jiang members were blamed for planning coups and have been a target of Xi’s corruption crackdown. While coups seem unlikely, Xi has attempted to marginalize Jiang leaders and consolidate his power, culminating in the removal of term limits. China’s legislature officially abolished presidential term limits on Sunday, a move that may have been driven by President Xi Jinping’s fears of factional warring and even failed coup attempts inside the Communist Party. Though China is a one-party state, its ruling Communist Party is largely split into two factions. The first is a populist coalition, and the second – which is named after former President Jiang Zemin – is considered elitist and made up of “princelings,” leaders who come from families of high-ranking officials. Xi, who had no factional alliance, became president five years ago after the Jiang coalition had broad control for nearly two decades, according to SinoInsider, a consulting firm focused on China’s leadership. 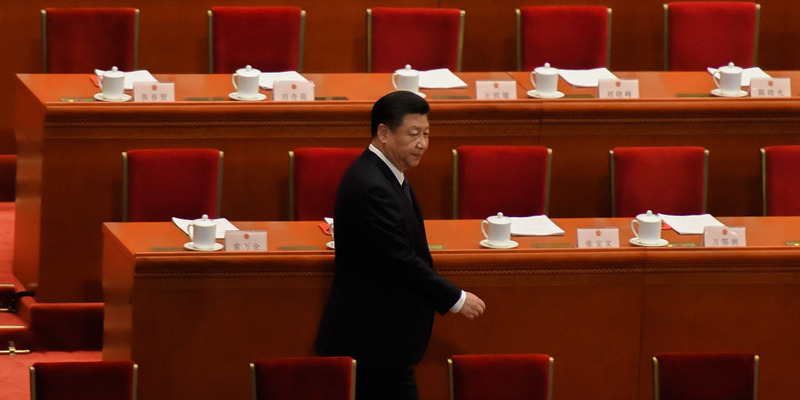 “Since taking office in 2012, Xi has been engaging in a life-and-death contest with Jiang Zemin’s influential political faction,” wrote Don Tse, the CEO of SinoInsider, and Larry Ong, a senior analyst, when the term-limit change was announced. In 2012 and 2017, rumours swirled that the Jiang faction had been plotting a political coup. Despite these rumours not being based on any publicly available information, Xi took decisive action. “For self-preservation, Xi rolled out several political reforms that helped him consolidate power and marginalize the Jiang faction,” said Tse and Ong, referring to Xi’s nationwide anti-corruption crackdown that targeted several Jiang leaders. In a 2015 speech, Xi accused five senior party members of plotting “political conspiracies to wreck and split the party.”Experts consider that language to mean coup activities. That belief was made more overt in comments last year. “Some even sought to … seize party and state power, engaging in activities to split the party, and seriously threatening the nation’s political stability,” Wang Qishan, the head of the anti-graft crackdown, told state media. But planning a coup in heavily controlled China is highly unlikely, and such rhetoric was probably more useful in explaining away Xi’s corruption crackdown on political rivals. And while coups may not have been the biggest threat, the factional warring within the Communist Party has surely influenced Xi’s desire to continue strengthening his authority, experts say.